IK Multimedia to launch AmpliTube 3? The second version of AmpliTube was released in 2006. If you're an AmpliTube fan, prepare to start getting excited. IK Multimedia has posted a teaser trailer for an as yet unnamed new product on its website, and the suspicion is that it's AmpliTube 3. Discussing the new product, the trailer claims that IK "pioneered the field" and "turned it into a must-have for thousands". Now, these statements could be in reference to SampleTank, the software sound module that, like AmpliTube, is also at version 2. However, given the pulsing speaker graphic on the trailer, MusicRadar's bet would be that it's IK's guitar amp/effects software that's going to be updated. If you go to the teaser page, you can take a guess, too, and if you're correct, you stand a chance of winning a copy of the new software. 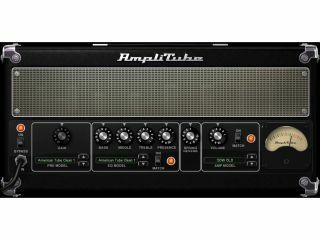 Since the launch of AmpliTube 2, IK has released a couple several spin-off editions - notably the Jimi Hendrix and Metal versions - but this would be the first major update to the full software since 2006. At this stage, we don't know what new features AmpliTube 3 will contain - though it's safe to assume that they'll be many and varied - but an announcement will be made on October 15, so we'll be back with all the details then.